Price:€ 12.00/yr. VAT 20% exc. See also original .com .net .eu .info plan location on their website! 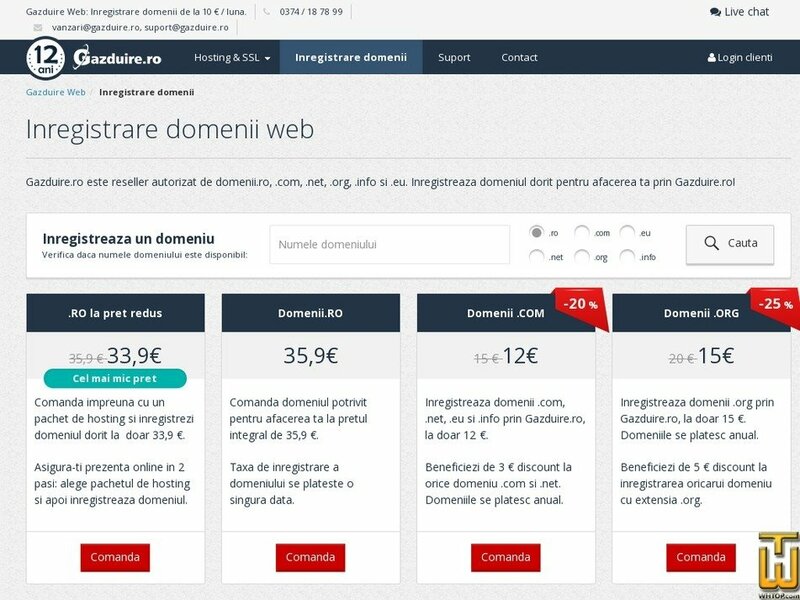 Gazduire.ro provides international domain registration service, renewal and transfer them, by partnering with GoDaddy.com (Go Daddy Operating Company, LLC), Open SRS (Tucows Inc.), eNom (eNom, Inc. Chicago, IL) and accordance with the rules specific to each type of field rules imposed by administrators TLD (Top Level domain). Price: € 11.90/yr. VAT 20% exc. Price: € 23.99/yr. VAT 19% exc. Register a .BLOG domain name now !